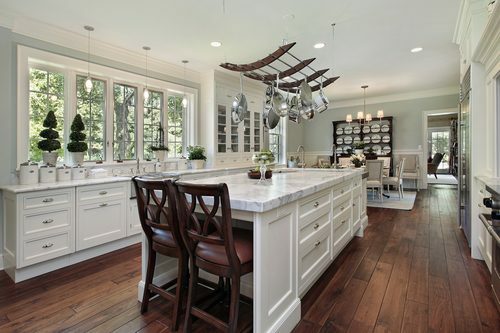 Marble and granite are both very popular as kitchen countertop surfaces. However, many people don’t know that these two types of stone are quite different. In fact, if a person is looking to utilize marble or granite stone for something such as renovation, it’s critical that they are able to understand the differences between the stones. Not knowing the different qualities of marble and granite may lead to problems such as extensive water damage. The significant difference between the two stones is that granite is igneous, meaning that it’s extremely hard. In contrast, marble is one of the softest types of stone that can be used for surfacing purposes. Thus, granite is a much more durable type of stone. 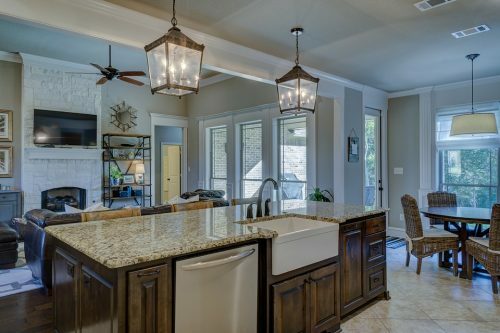 It’s recommended that marble is used in areas that see relatively light wear, such as a kitchen countertop that is only used to place utensils and other essential equipment. Granite, on the other hand, may be used in areas such as bathrooms which see extensive wear through daily activities. Practically, there is a simple test that can be conducted to tell whether a particular stone is granite or marble. Visually, marble has distinctive swirls that are not seen in granite. However, for a more definitive test, a knife test may be conducted. The knife test involves gently scratching the surface of the stone with a knife. Granite will not scratch, even with a sharp and robust knife being used, whereas marble will scratch quite easily without the need for a particularly sharp knife. A simple test like this will immediately provide answers as to the nature of the stone. Overall, both marble and granite have their own positives and negatives. Ultimately, many different things have to be considered when choosing either stone. Characteristics such as durability, appearance, and cost should be taken into consideration when looking at these stones.